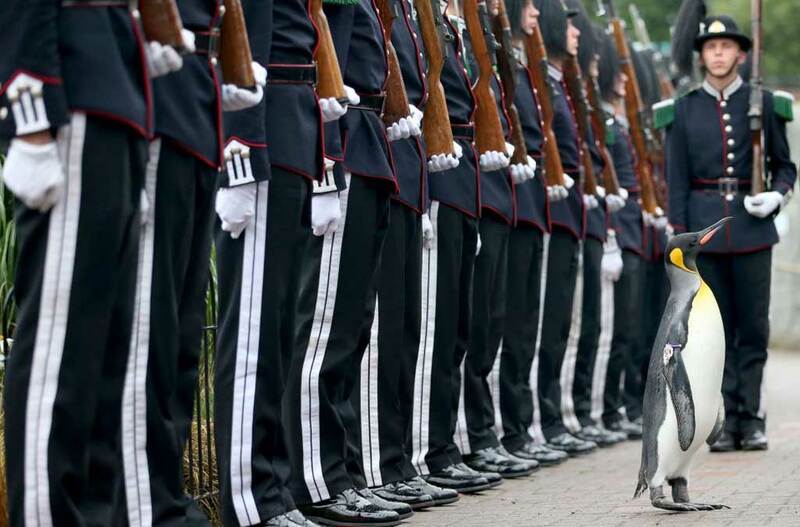 The world’s most decorated penguin, Sir Nils Olav, was elevated to the rank of brigadier in His Majesty the King of Norway’s Guard in a ceremony at Edinburgh zoo on Monday. 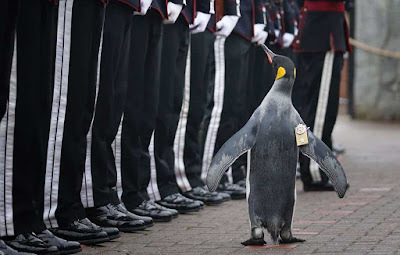 The king penguin is already Colonel in Chief of the guards and mascot of the battalion, and in 2008 was awarded a knighthood, an honour approved by King Harald V of Norway himself. 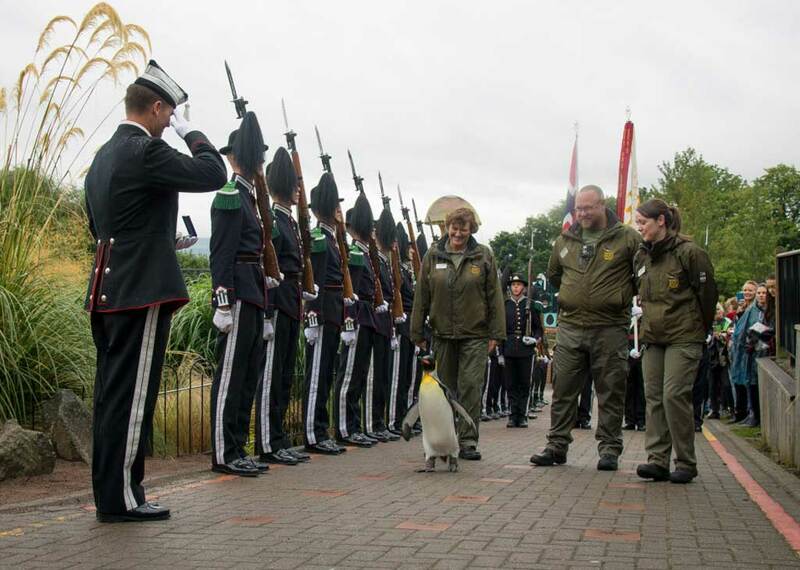 Fifty members of the regiment visited the zoo to bestow the unique honour on the 14-year-old. 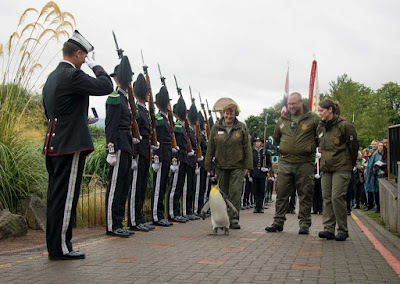 Sir Nils is the third penguin of the same name at the zoo, following a tradition initiated in 1972 by a Norwegian lieutenant, Nils Egelien. 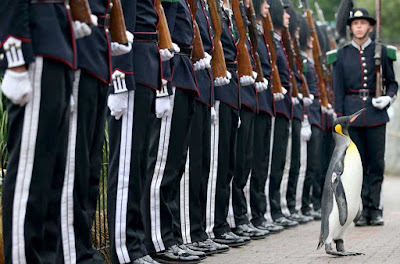 The penguins, which have become a symbol of the close relations between Norway and Scotland, were named after Egelien and the then Norwegian king, Olav V, father of the current king, Harald V. Norway presented the zoo with its first king penguin when it opened in 1913.